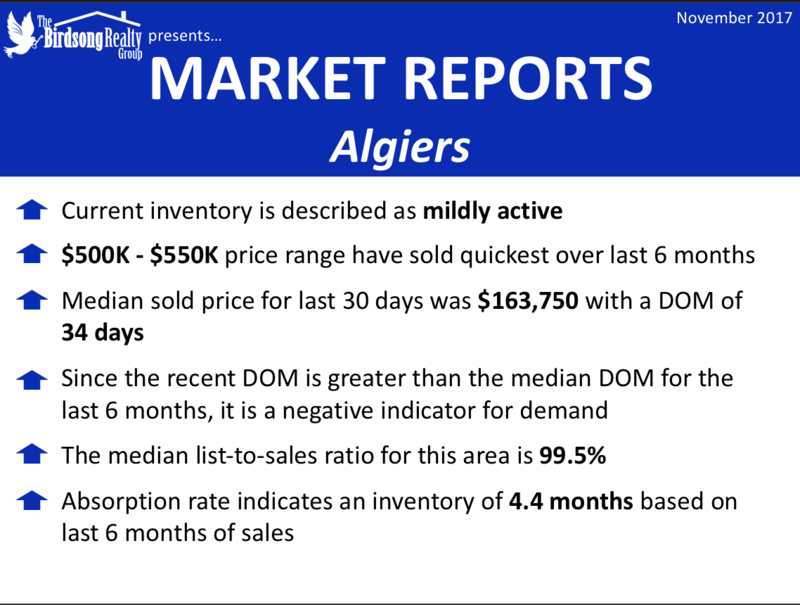 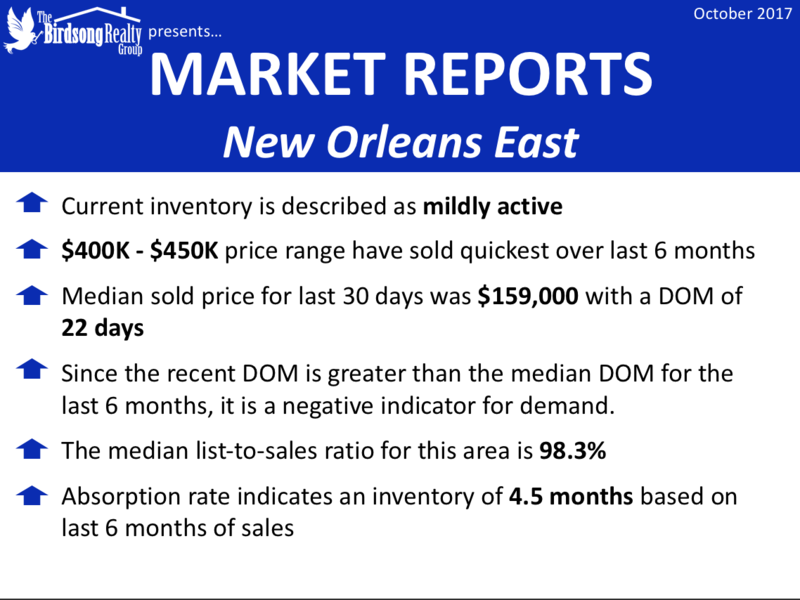 The New Orleans area continues to show a mildly active real estate market. 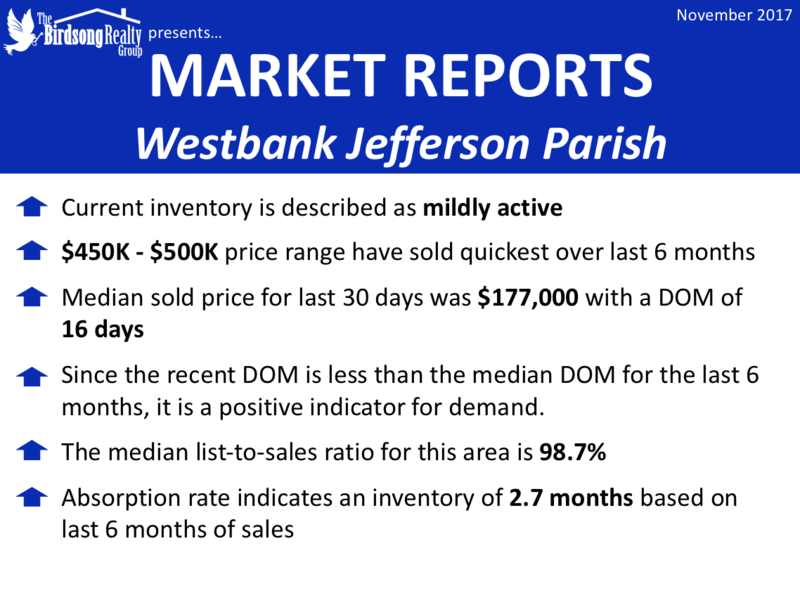 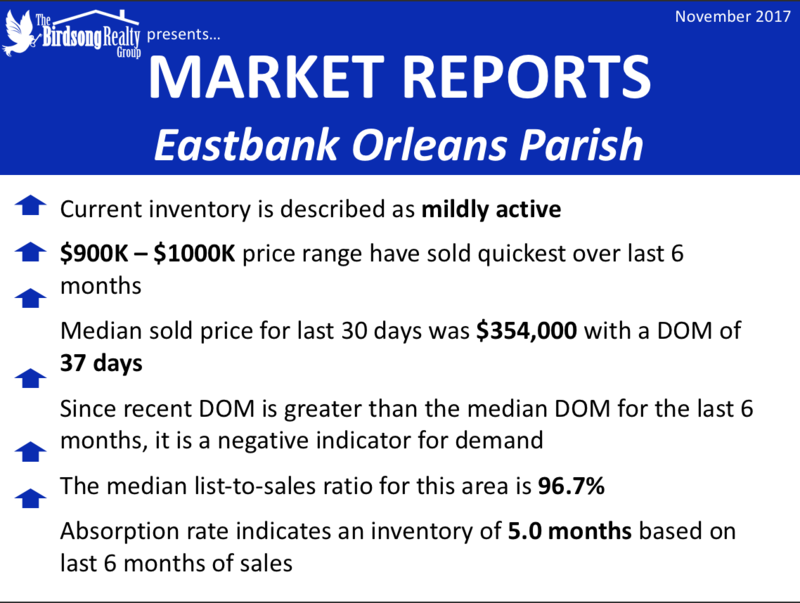 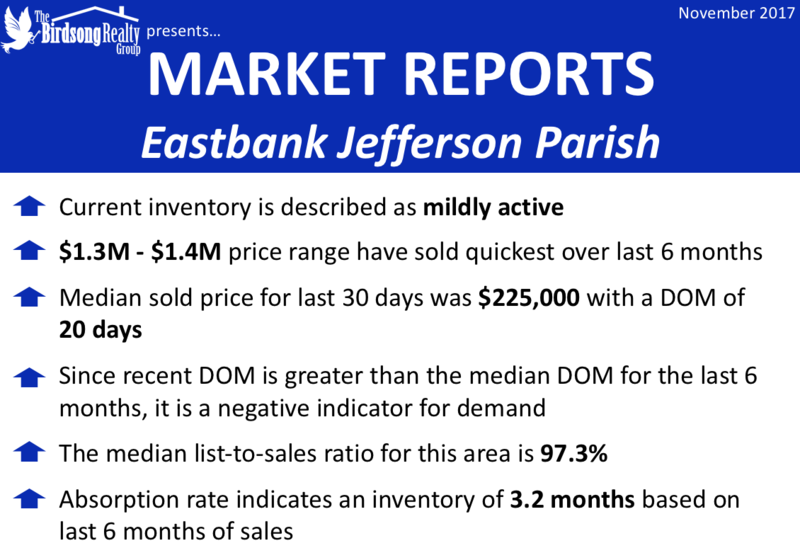 Some of the areas showing some of the most vibrants markets continue to be the EastBank of Jefferson Parish along with the Westbank of Jefferson Parish. We would like to thank The Bridson Real Estate Group for the November market report of the metro area.